Artlanta News is dedicated to perform as your best Celebrity News Publisher. LITTLE ROCK, AR (WMC-TV) - Several big names were on hand in Little Rock Saturday to support the West Memphis 3. Superstar Johnny Depp, Dixie Chicks Natalie Maines and Perl Jam's Eddie Vedder were just some of the celebrities who performed in front of 2000 supporters in Little Rock to raise money and awareness for the West Memphis 3. "I'm here today because three innocent people are losing years of their life to a wrongful conviction," Maines said. Before the concert, sitting in front of a poster with a picture of Damien Echols that read 'Innocent,' Maines, Vedder, Damien Echols' wife and the defense team told reporters about new evidence they hope will lead to a new trial for the West Memphis 3. "We're really talking about the evidence that didn't exist at the time of the trial," attorney Dennis Riordan said. 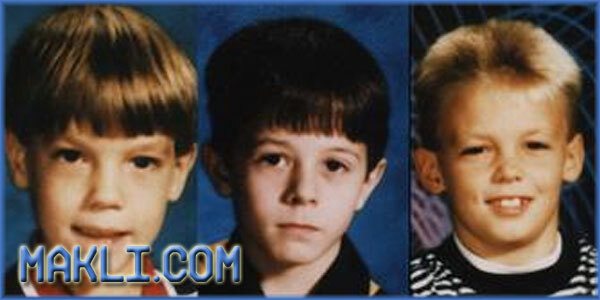 Jason Baldwin, Damien Echols and Jessie Misskelley were convicted more than 17 years ago of the killing of three eight-year-old boys. But Riordan announced Saturday that DNA evidence just came back last week indicating there was no sexual assault on three young boys. The defense says the boys were not mutilated in any way - a key piece of evidence for prosecutors. "It makes me scared, because this could happen to any of us," Maines said. "Because it is so blatant to me and so obvious that this is an injustice." "It's a complex said," Vedder said. "There are things we thought we knew ... in the past three years, it's really become solidified." Vedder and Maines also gave a concert Saturday night at the Robinson Music Hall in Little Rock with special guest Johnny Depp. Artlanta. Awesome Inc. theme. Powered by Blogger.